The trend of #DegrassiInPrimetime continues. 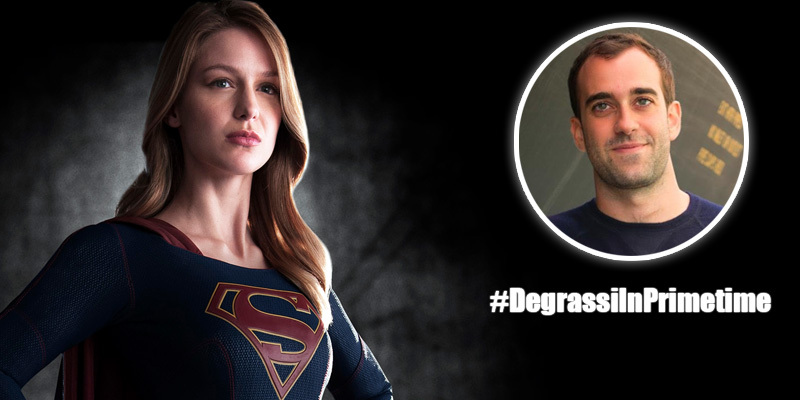 Former Degrassi writer Michael Grassi is now writing for the new CBS series Supergirl, which premieres TONIGHT at 8:30pm ET. The series stars Melissa Benoist as Kara/Supergirl. Grassi is credited as writer of episode 3, “Fight or Flight,” along with Rachel Shukert. That episode will air on November 9th on CBS. Degrassi writer alum @thatthingofwhen is now on team #supergirl! Congrats and I'll be watching tonight! Grassi spent five years working at Degrassi, starting off as a story coordinator and working his way up to co-executive producer. After leaving Degrassi, he joined the writing team for the series Lost Girl. He quickly became Showrunner/Executive Producer in the show’s fifth and final season, which just finished airing in Canada. Lost Girl, which features Degrassi alums Kris Holden-Reid and Luke Bilyk, will air the final episodes of the series in the U.S. in 2016. If your name is grassi it would’ve been extra hard on you if you tried to get hired on degrassi but you didn’t get the job. I really liked super girl ep 1.